My husband took our family on an "Epic Road Trip" for spring break. We traveled 3457 miles, through 8 states in only 10 days! 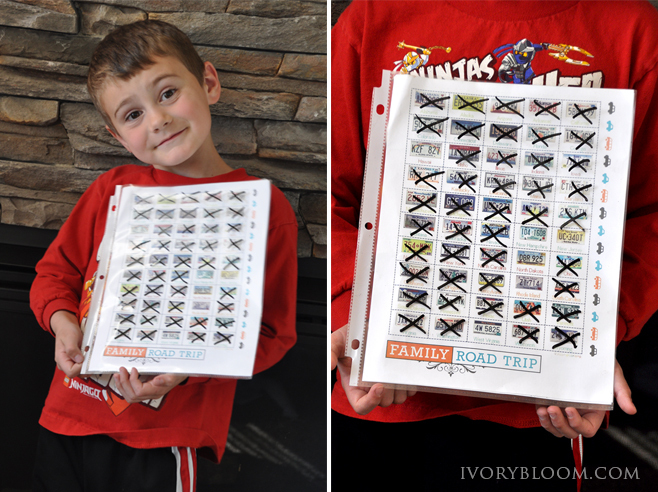 This was my first "Epic Road Trip" so I was a little worried how the kids would do in the car for over 50 hours. My husband is a true road warrior (driving day and night requiring very little sleep). He grew-up taking cross-country trips in a Suburban with 8 people. They would drive all night through states like Nebraska, just sleeping in the car. I didn't grow up like that... so this was all new to me! Early on when we were planning for the trip, I decided my role would be service. The kids' comfort was my top priority and focus. With a lot of preparation... we had a great trip. It also helps to have a DVD player, DSI and other tablets to keep little minds busy! My boys are 10, 6 and 4 years old and these tips worked great for them. Modify to fit your own family dynamics. 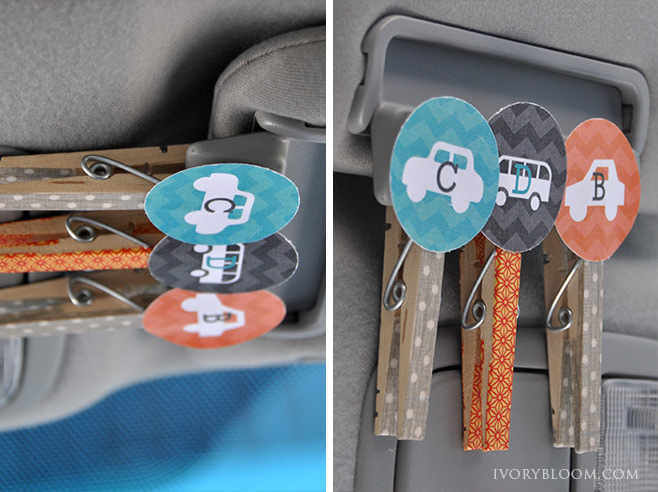 I made a clothes pin for each of my boys and clipped them to the visor of the car. If any fighting or hitting started, I would quietly take the clip down. I didn't have to say anything... they would notice! If their clip was on the visor when we hit a "border" they would get a border bag. If their clip wasn't up, they didn't get their prize. I would just save the prize for the next border! 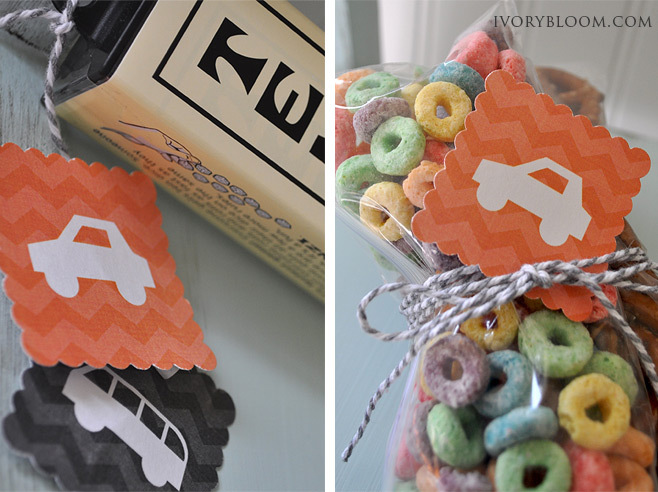 My sister did a trip through only two states and so she did "city bags", you can modify the concept to fit your trip. I only had to take the clips down a few times. The boys tried so hard to be good! They did so, so good. My 4 yr. old, Caleb, got his clip taken down once. He was devastated and kept crying, "I want my clip back up, I want my clip back up." To get their clips back up, I just had them be "good" for a set amount of time—similar to a time out. 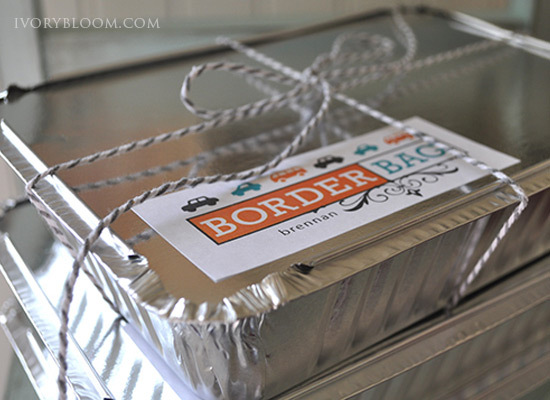 If my boys had their clips on the visor, they would receive a Border Bag each time we crossed a state border. 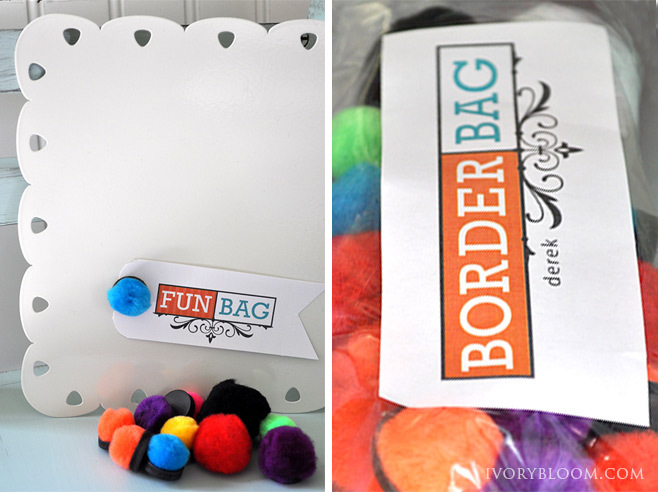 The "bag" didn't necessarily have to be a bag, but a fun reward. The kids LOVED them! They would be thrilled with a few goldfish, some candy and some pretzels. I really felt like I went through less snacks too. The kids would really focus on the "new" treats and just enjoy what they had. They would also trade the treats with each other. When each new bag was opened, they would take 15 to 20 min. to finish trading and eating their treats. It helped to pass time! 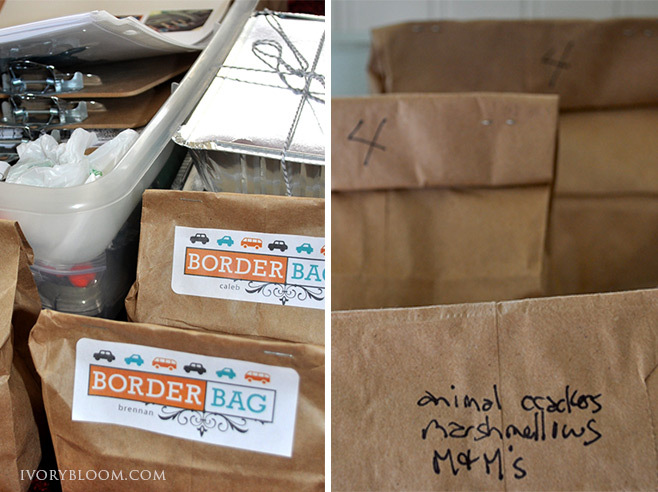 For our epic road trip, we had 9 borders, so I needed 27 Border Bags or activities. To keep the bags organized I labeled each bag with their name and also a number. On the bottom of one of the bag, I would write down the contents of the bag. 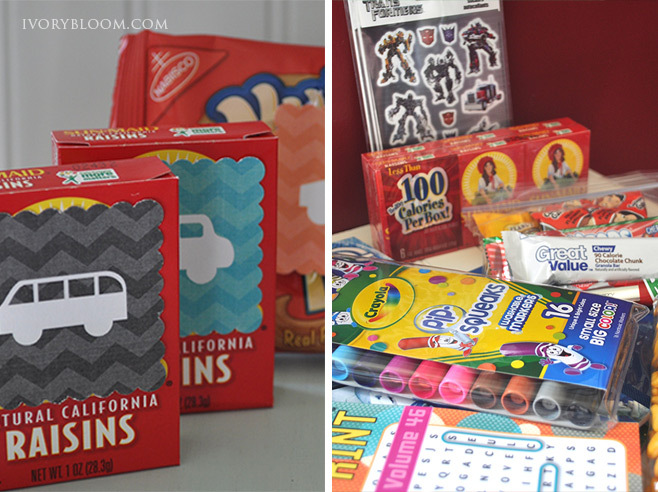 This helped me to give the same thing to each boy and to regulate how many treat bags vs activities were going out. If the boys weren't hungry, I'd give them an activity instead. Worked like a charm! I stored half of the bags in our roof top carrier for the last leg of the trip. 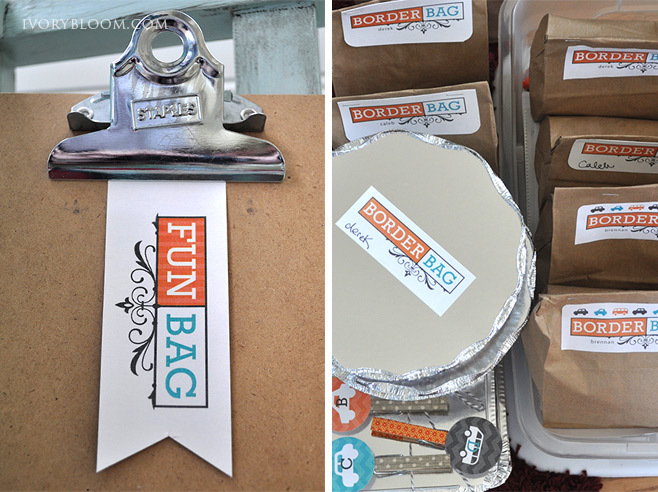 I used the border crossings to give them coloring pages, magnet activities, cling graphics for the window and games. 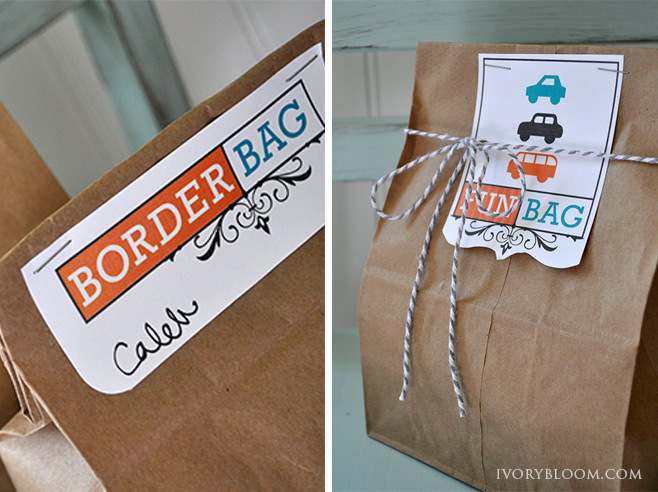 This kept the anticipation of the border "bags" up and the kids never knew if they'd get a treat bag or an activity. 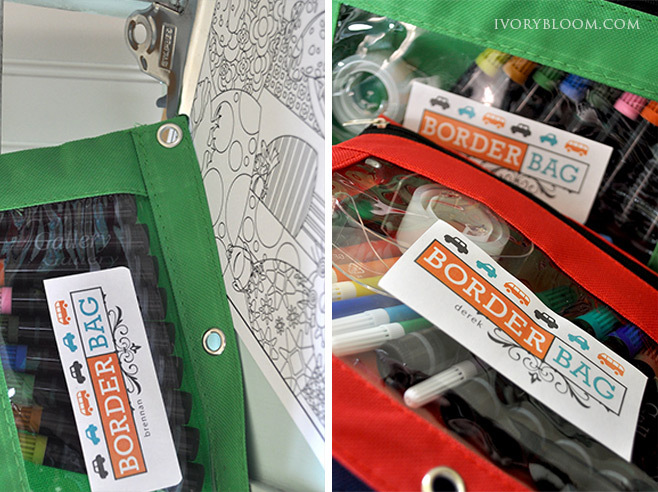 I bought these zipper bags at the dollar store and filled them with markers, pencils and clear tape. I had mini clipboards with coloring pages available for each boy. 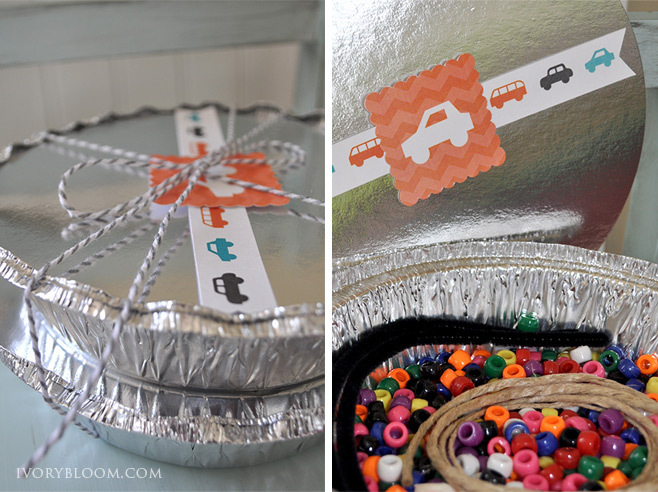 My youngest boys loved these take-out tins filled with beads, twine and pipe cleaners. 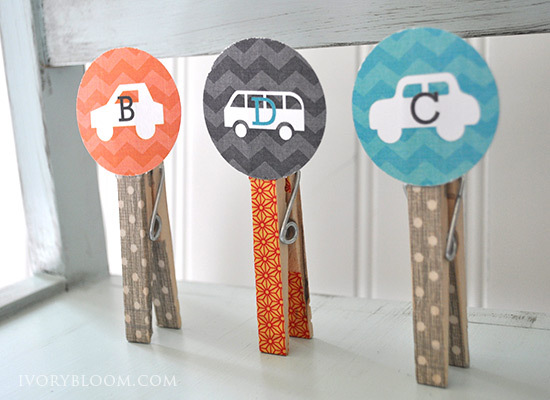 I hot-glued pom-pms to magnets and paired them with a square metal tile. My 4 and 6 yr. old loved playing with these. 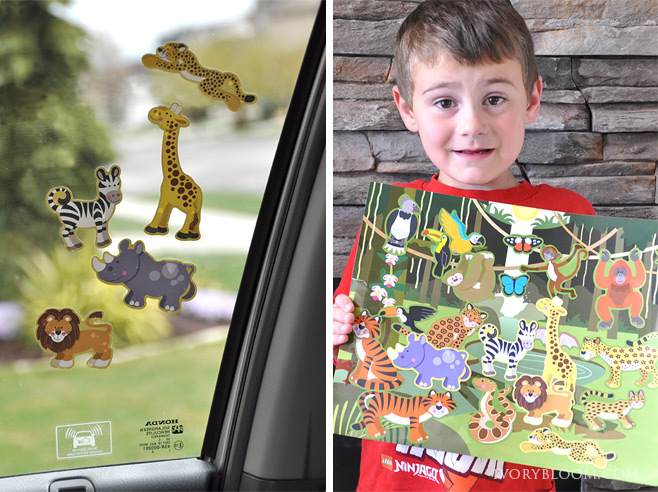 My 4 yr. old loved using these window clings to decorate his window in the car. My 6 yr. old used the poster board to arrange the pieces. I printed a sheet of state license plates and put it in a clear page protector. The boys would use a dry erase marker to cross off the plates we'd see. When we started the trip my 10 yr. old told us we would never see an Alaskan license plate. You can image how excited he was when we actually saw one! I printed a state map in blue and then I printed the states we'd be driving through in red. When we'd cross into a new state, we'd tape the red state on the map. 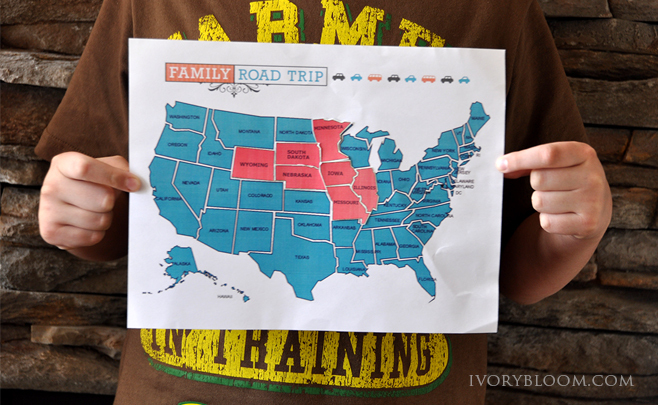 This helped the boys see how far we traveled and which state we were currently in. My 10 yr. old loved this the most. Plus this will really help him when he goes into 5th grade and studies the states. 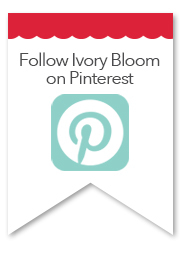 I saw this idea on Pinterest and I loved it! Each state/place you visit, buy a postcard. Then write down what you did that day and any fun memories. When you get home it's so fun to open the mailbox and see all the postcards. 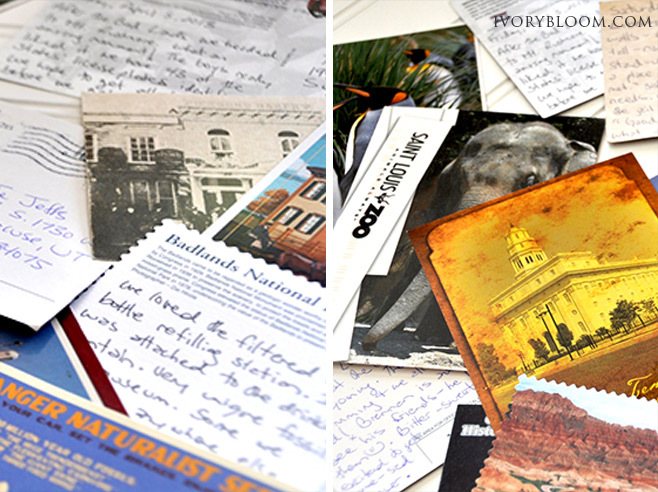 As we looked through our postcards it was like revisiting the places again. My boys LOVED it. They kept saying, "I remember that!" Plus, for a few days, you receive more mail from your trip. 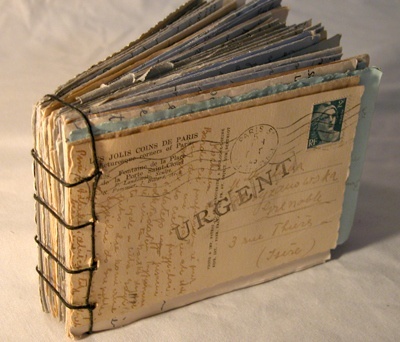 You have an instant memory book of your trip and you don't have to go back and try to remember what happened each day! 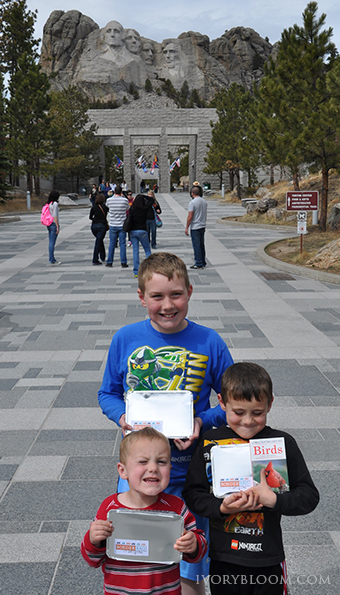 Here are the boys with their border bags at Mount Rushmore. They couldn't wait to open them! 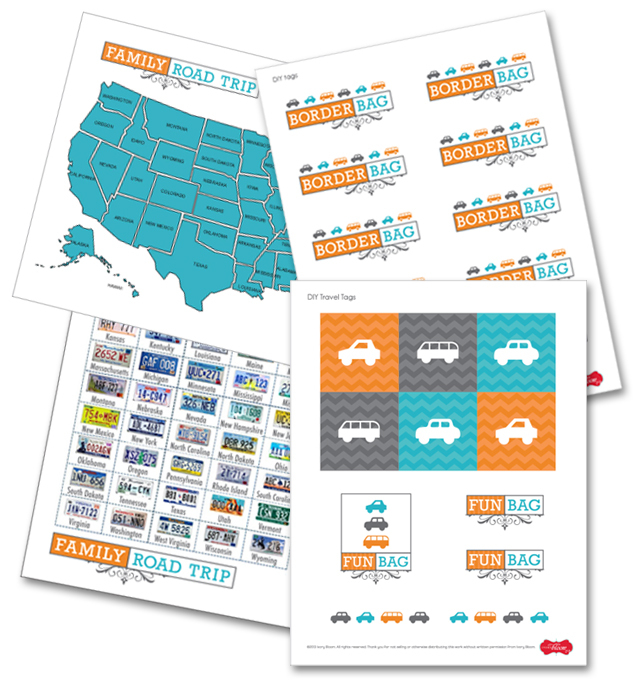 Use these printables the help make your next family road trip a little more enjoyable. 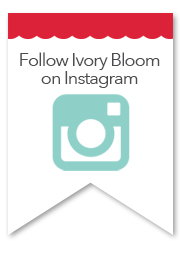 Share the photos of your next road trip on FB!